We offer a comprehensive end-to-end service portfolio: earth observation data, geo-products, integrating space technologies (satellite communication, earth observation and positioning) into real world applications. Software and -systems, technology consulting and institutional strengthening. We are keeping pace with the accelerating technological developments in our professional lives - for your benefit. We work in the fields of natural resources and raw materials, environment and water, forestry and agriculture, infrastructure and emergency management. We provide sustainable solutions in resources management, inventories, monitoring and planning - based on sound management practice, involving leading experts and know-how transfer expertise. Ready to serve you from our home base, in your office, and in the field. We understand the challenges of the consulting world and can match with sound, appropriate technical solutions that support governmental, administrative, and industrial processes - and all this with a global view. 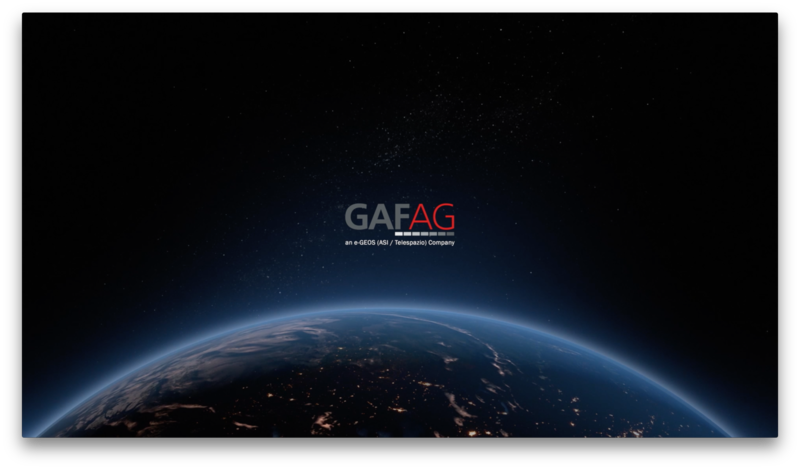 Besides our home markets in Germany and Europe, GAF is internationally active - having a successful track record of more than 1000 projects in 100 countries worldwide. We work for industry and private sector, for international institutions and development banks, national authorities and clients. GAF is headquartered in Munich, Germany, with a branch in Neustrelitz (North of Berlin). We have project offices worldwide. More than 200 highly qualified staff and 30 years of experience are ready to serve you.